1. Go to https://app.getresponse.com/account.html#api and grab your API key there. 6. 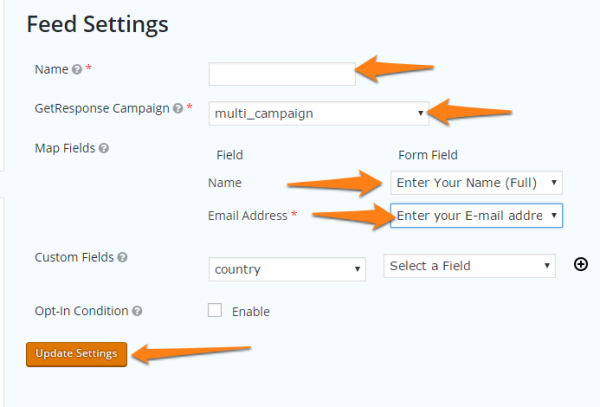 Name the feed, select your email campaign to put the leads on, then match up the fields so they match up. Use the custom fields if you want to use any of your custom fields in GetResponse. 7. 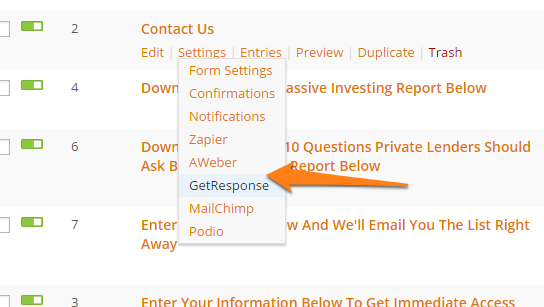 Do this for every form you want to send to GetResponse. And that’s it! Be sure to reach out to us at support@oncarrot.com or live chat if need any help on the setup.